We exist because you exist, and we never forget that. Our aim is to work with you and use our extensive knowledge and experience to help grow your business. We believe the coffee you choose to serve is one of the most important decisions your business will make and we respect the trust you put in us as your roaster of choice. Each of us Rascals enjoys our cup o’ joe in different ways. A coffee is more than what’s in the cup, it’s a personal experience, and we aim to build a professional relationship with you that reflects this experience. As well as our delicious coffees, we use and supply a range of ethically traded organic tea’s and tisanes, and Kali premium drinking chocolate. We will support you with ongoing training for beginners jumping on the espresso machine for the first time to experienced baristas looking to tweak and perfect their skills. Need a machine? No worries. We have machine options to suit your individual needs and requirements, or alternately, we can provide assistance and advise you on any/all coffee equipment purchases. Bring Rascals to your workplace - Take us to your leader! A great team can only get better with great coffee. 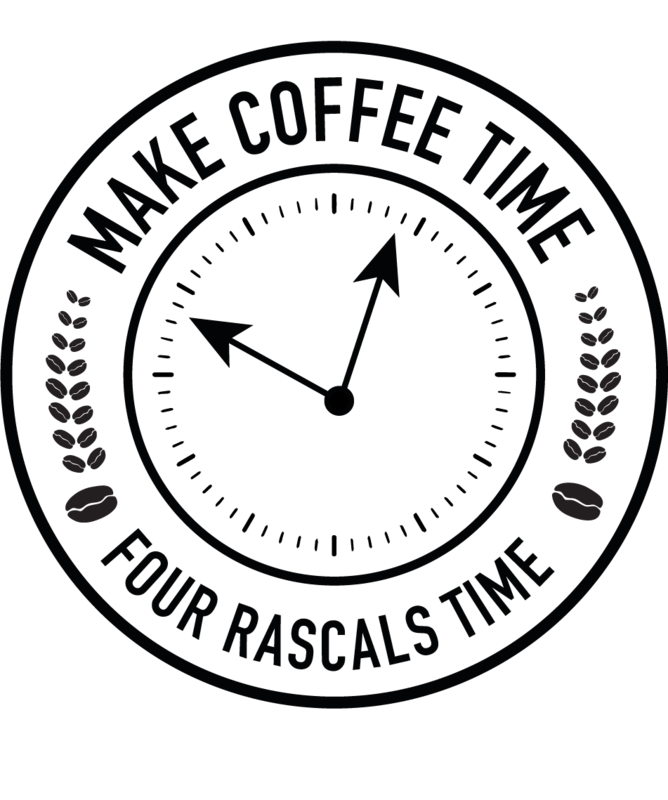 Don’t settle for supermarket beans or instant coffee when you could have cup of fresh roasted Four Rascals. We can supply whole beans or pre-ground coffees, and can offer package deals with machinery. Contact us now and change your workday. Ideal for multiple shop businesses, franchises, and larger accounts with growing needs, a custom blend under your label gives your brand the opportunity to stand out from the crowd. Use our expertise to bring your private label to life, or If you’ve got something specific in mind and know what you want, let us know your secret recipe and taste the difference that our consistent roasting methods will bring to your coffee.